Bob McDevitt, president of the Local 54 arm of Atlantic City’s largest casino union, UNITE HERE, is urging New Jersey Governor Chris Christie to sign the state’s proposed Internet Gambling law. According to its website, UNITE HERE is the largest union of gaming workers in the world, and represents 48% of employees in the commercial gaming industry throughout the United States, including the top three gambling companies, Harrah’s Entertainment, MGM Mirage, and Boyd Gaming. 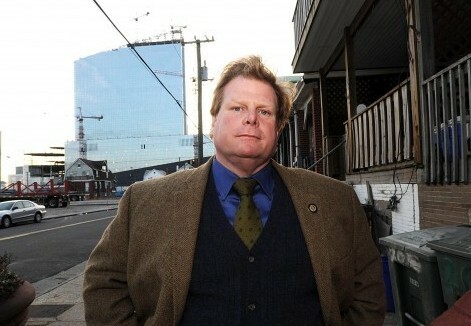 With this, and the 14,000 New Jersey workers he helps represent, in perspective, Bob McDevitt summed up in a Press of Atlantic City article, online gambling would help preserve jobs, generate new tax revenue, rescue the Atlantic City from a six-year revenue decline, and save the weaker casinos in the city. Earlier estimates by analysts predict Internet gambling in New Jersey could create up to $850 million in new revenue in the first year alone, and up to $1.5 billion in the years to come. Governor Christie vetoed a similar bill last year, stating it violated the New Jersey constitution, which explicitly restricts all casino-style gambling to Atlantic City. Supporters of the current bill claim this version eliminates the issue of constitutionality since all Internet servers, computers, and other equipment would be based in Atlantic City (inside the casinos and elsewhere). Approving the New Jersey online gambling bill would permit customers within the state of New Jersey to place bets online on slot machines and table games while they are in one of Atlantic City’s 12 casino hotels.